That one mushroom may be bigger than another is natural. But it rarely happens that a mushroom grows as big as in these photos. 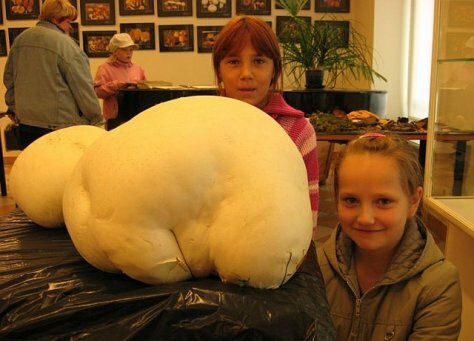 This giant was brought to the mushroom exhibition in Valga – girth 135 centimetres and weight four and a half kilos. If a big pike is sometimes called a wedding pike, then this giant puffball might be a wedding ball. Or wedding egg – Estonian “hiidmuna” means giant egg.